ERP is the acronym of Enterprise Resource Planning. An integrated information system that serves all departments within an enterprise. ERP is business management software that allows organization to use a system of integrated applicatons to manage the business. This integrates all facets of an operation, including development, manufacturing, and sales and marketing. ERP software is multi- module application software that integrates activities across functional departments, from product planning, parts purchasing, inventory control, and product distribution, to order tracking. ERP software may also include application modules for finance, accounting and human resources aspects of a business. Open Source version of ERP is OpenERP. OpenERP is an open source integrated enterprise resource planning software manufactures by OpenERP S.A. OpenERP is, according to the author, an open source alternative to other paid ERP’s. Open Source Software execution involves the removal of license fees, and thus reduce the cost of integration. OpenERP is adaptable for big and small companies, factories, web sellers etc. Experts state OpenERP having 2 years of competitive advantage on market as enterprise management can never be such simpler and powerful as with OpenERP. Freedom of access to the source code ensures better adaptation of the software to the specific needs of our business. A web based information system which provides you real time statics and should be highly customized as per your requirements. A user friendly complete information system as per today’s business needs. OpenERP allows you to integrate more than 650 modules, which make it more flexible than other ERP’s. Integrated Document Management System which will take care of designs. No license cost, light, fast, easy to set, easy to use, robust and flexible. Dynamic dashboards, consolidation of data in real time, custom report designer. Because of modularity, collaborative developments in OpenERP have cleanly integrated, enabling any company to choose from a large list of available functions. Fully integrated enterprise solution by which no need to use different software’s for different departments, no double encoding of information, Automated all administrative tasks, User- friendly web and rich interface. Manage your sales funnel with no effort. Attract leads, follow-up on phone calls and meetings. Social Network Integration.Bring social intelligence to your sales process. Create leads automatically from incoming emails. Customize your sales cycle by configuring sales stages that perfectly fit your sales approach. Lead Automation and Marketing CampaignsDrive performance by automating tasks. Organize Your Opportunities.A clean user interface with everything in one screen. 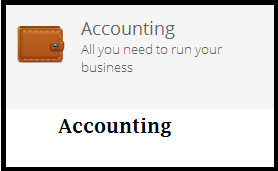 OpenERP Accounting allows a better way to collaborate with your accountants, your customers and control your suppliers. 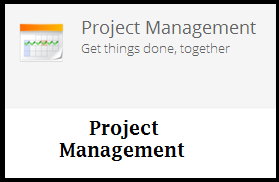 OpenERP's collaborative and realtime project management helps your team get work done. Organize projects around your own processes. Work on tasks and issues using the kanban view. Get alerts on followed events to stay up to date with what interests you. A very friendly Point of Sale.Set up in a minute, Sell in seconds. No installation required that runs online and offline on modern hardwares. full integration with the company inventory and accounting, gives you real time statistics and consolidations amongst all shops without the hassle of integrating several applications. OpenERP's POS is a web application that can run on any device . Unified Data Amongst All Shops.Sync products, prices, customers with no effort. 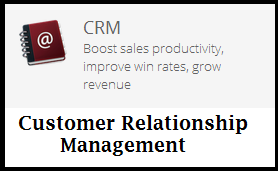 Sales Management Made Easy. 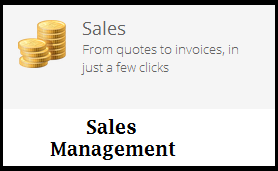 From quotes to invoices, in just a few clicks. Fully Integrated. The information your need, where you need it. Fully Integrated Invoicing. All the invoicing methods you need. Fully ExtensibleActivate features on demand. Manage the most important asset in your company: People. 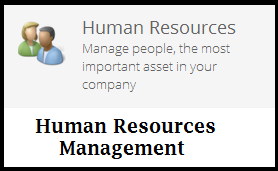 Get all your HR operations managed easily: knowledge sharing, recruitments, appraisals, timesheets, contracts, attendances, payroll. Track time and attendances. Weekly or monthly timesheets with optional attendance tracking. Keep track of the vacation days accrued by each employee. Employees enter their requests (paid holidays, sick leave, etc), for managers to approve and validate. 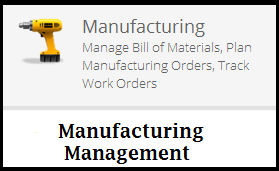 Manage Bill of Materials, Plan Manufacturing Orders, Track Work Orders. Get manufacturing orders and work orders scheduled automatically based on your procurement rules. Define Flexible Master Data. Products, Bill of Materials and Routings. Edit manually all proposed operations at any level of the progress. A Productive User Interface. Work with lists, calendars or gantt charts. Fully Integrated with Operations. 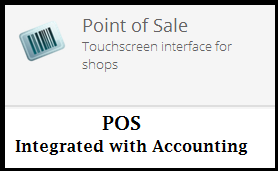 Sales, Purchases and Accounting integration. Quickly identify resource requirements and bottlenecks to ensure your production meets your delivery schedule dates. 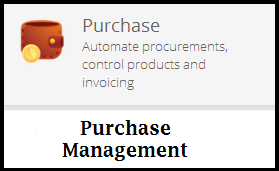 ﻿Automated Procurement Propositions.Reduce inventory level with procurement rules. Launch purchase tenders, integrate supplier's answers in the process and compare propositions. Choose the best offer and send purchase orders easily. Use the claim management module to track issues related to suppliers. Use the costing method that reflects your business: standard price, average price, fifo or lifo. Get accurate statistics on the performance of your suppliers through flexible reporting: delivery delays, negotiated discount on prices, quantities purchased, etc. Integrate purchases with the analytic accounting to analyse your contracts profitability. Allows full traceability (from customer to supplier, not limited to your warehouse), advanced reporting (e.g. inventory valuation on manufacturing counter-parts locations) . 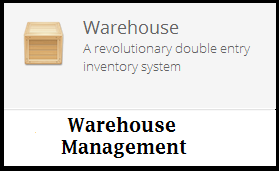 Define push and pull rules to organize a warehouse or to manage produts's moves between several warehouses. Keep an eye on all your stock by tracing all your past and future inventory transactions. Browse through the upstream / downstream traceability flows to have a clear vision to what happened to a specific product or lot. Reduce your stock level. Fine-tune procurement methods according to your need. Fully Integrated with Operations.Sales, Purchases and Accounting integration. Track Serial Numbers, Scale Your WMS easily. Design custom dashboards to get a picture of your warehouse efficiency at a glance. Dig deeper with real-time reports that anyone can create and share.